This photo has proven to be my most popular image on Flickr, so I thought I would share it with our blog readers. I photographed this house several years back while staying with some friends who lived just a block away. It is only about a half mile from the Eames House. The home was designed by the architect who lives there and it has great views into the canyon and probably the ocean beyond the ridge. The road visible below the house is Sunset Blvd. Click Here to see the front of the house. Who is George Matsumoto and what does he have to do with Kansas City? George Matsumoto was a partner with David B. Runnells in Kansas City for one year at the firm Runnells Clark Waugh and Matsumoto Architects. We know that the firm did at least one house and the first new building then called just, "The Art School," for the Kansas City Art Institute, There may have been a Doctors Office done as well. It is unknown if the Doctors Office is still standing and if it was done by all four partners or with Matsumoto alone. Waugh and Matsumoto left the partnership to teach at University of Oklahoma with Henry Kamphoefner. They immediately left Oklahoma to start the new school of design at North Carolina State University in 1948. The photo above is the house that Matsumoto designed for himself in Raleigh, North Carolina. He won many awards for this design and went on to complete many residential commissions. 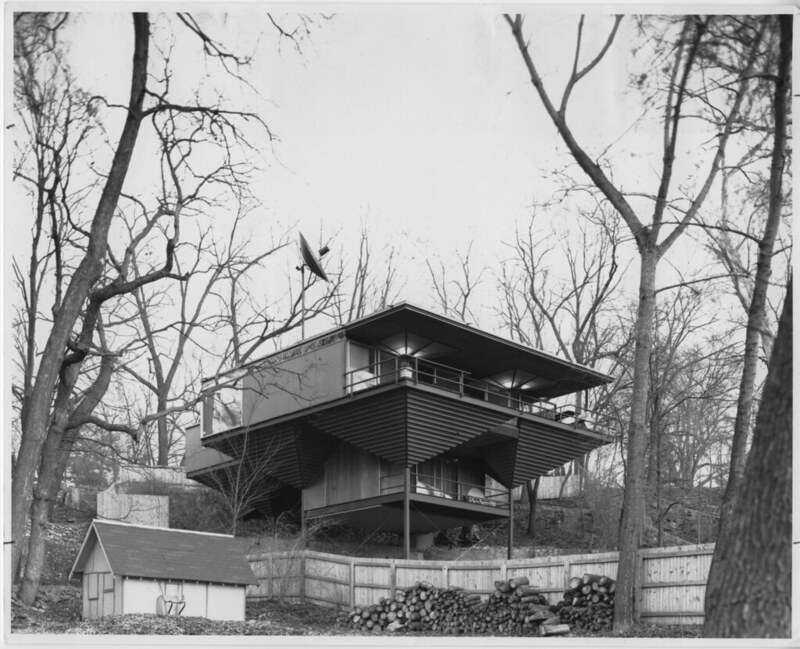 The folks over at Triangle Modernist Houses have also done a great job of documenting the career of George Matsumoto in North Carolina. The Matsumoto Tribute from and exhibit they did over at the North Carolina State Library has some good info too. Here is the George Matsumoto Group Pool on Flickr. The Matsumoto House is one of several Modernist houses built in Raleigh from the 1940s to the 1960s. These houses were the manifestation of architectural concepts embraced by the faculty of the School of Design, established in 1948 at North Carolina State College (now North Carolina State University). 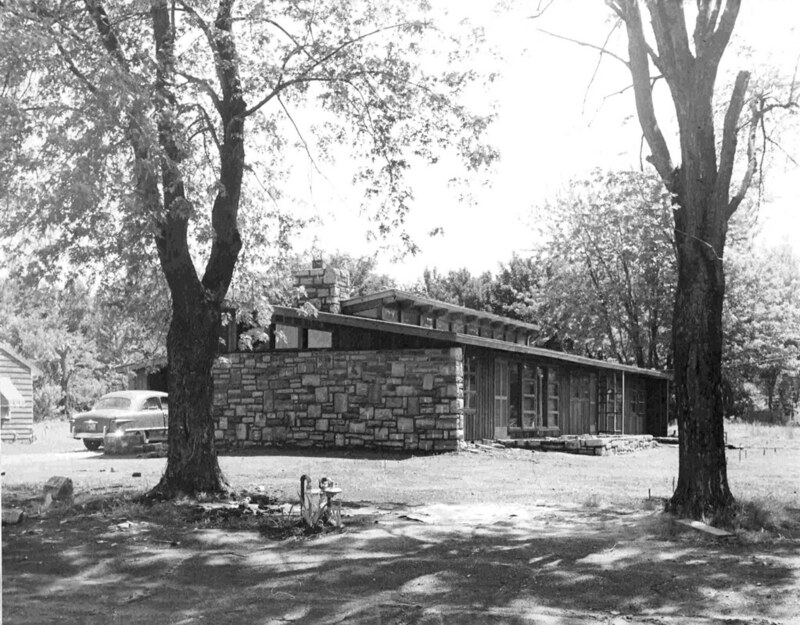 Dean Henry Kamphoefner recruited several Modernist architects as faculty members, and was instrumental in influencing other Modernists to come to North Carolina to practice. He also brought internationally known architects to the school to lecture and to lead studio workshops. The faculty designed several residences for themselves, other faculty members, or for a small group of clients interested in new ideas in architecture. Built for the most part on relatively ample, wooded suburban lots,located on what then were the outskirts of the city, a key element in most of the designs is a careful integration of the house with its site.